Coming in more than a dozen combinations of shapes and sizes is the 548 See Dining Table from Glass Tops Direct, an ultra modern styled example of high quality dining room furniture. 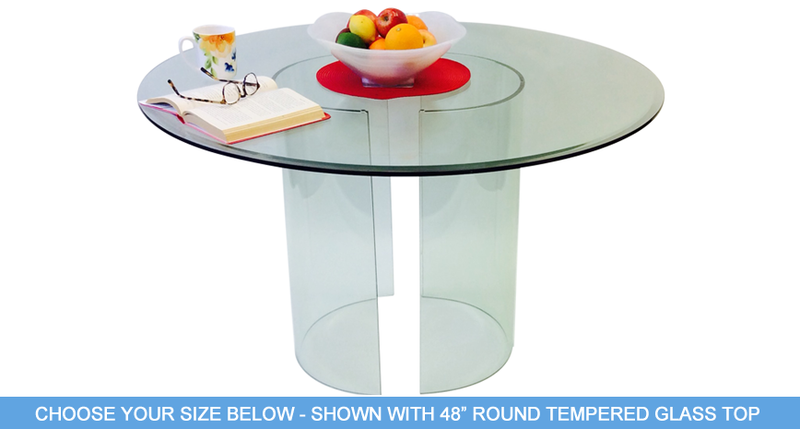 Every top is made from 1/2" thick tempered glass, with a 1" beveled edge and featuring 1" radius corners on square tops - all of this combines to create a glass table that is truly safe to be around. With this fabulously modern piece, the possibilities for your dining room are truly endless! All pieces will be expertly packaged with Styrofoam to ensure safe transit and all deliveries are insured by GlassTopsDirect.com.